I am really excited to take part in the 40 Day Fast. Today is my day to fast, pray, and share with you about a ministry that is making a difference in the world. We want to see God’s Kingdom here on Earth. Let’s love, and live, like it. Also blogging today is P.D. Ross. Pray for these ministries, and all the others blogged about these 40 days, as God uses them to make His name famous around the globe. I’ve been to an orphanage once. Not because I wanted to, but because it fit in that file of “I’m in Africa so I should do more than lay at the beach”. Do you have that file? Get one. I thought I knew what to expect, I mean- haven’t we all seen the commercials? But I had no idea. What I found, at that orphanage in Ghana, was virtually a kid city. Classes. Dorm Rooms. Big kids feeding the babies. Loving adults. Volunteers galore. Soccer games. Art classes. It was awesome. That day was moved to the “Great Experiences” folder, just so you know. 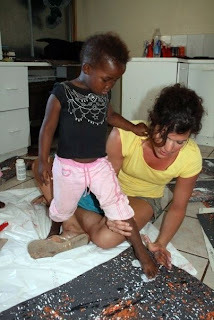 Every orphanage is not this way, as Lindsay Orr discovered in Jeffrey’s Bay, South Africa. 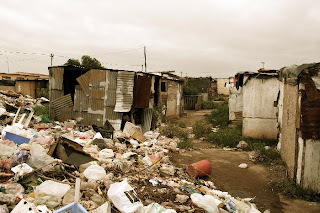 When Lindsay arrived at Ithemba Community Center, it was definitely not what she expected. 200 orphaned children stream through there from 7am-7pm, almost like a day care center. But there was not enough food. There was no medication for the sick ones. There was only one large room and a fenced play yard. No school. No Biblical education. Just a building. These children still came, even though there was so little to be had. A heartbreaking testimony of their lives- if one apple slice was more than they could get on their own, what was their life like outside of these bare walls? Where would they get an education? Was there any hope of these children succeeding on their own without it? And had they even heard of Jesus? Without Him, they would never know hope. The Community Center was a step in the right direction, but it needed help. A lot of help. So Lindsay came home. A twenty-something single girl from Atlanta. Not rich, not famous, just willing. And she decided that she had to do something. Because those children aren’t just subjects in a picture, they are future adults. They are a generation. And they are of great worth to God. Mere months later, Lindsay and her fiancé Gavin began their ministry- Luo, which literally means to “set free”. 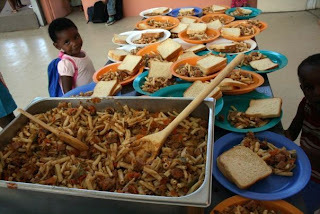 Their mission is to set children free from poverty by supporting them and connecting them with the local community. And when I heard about it, and read about it, I immediately fell in love. Luo provides those things the children need- an academic education, a Biblical education, food, medication, financial support. But Luo isn’t their savior- the ministry isn’t the focus. The ministry is a conduit- Luo is meant to connect these kids to their surrounding community. Especially in areas like South Africa, where there is extreme riches and extreme poverty, Luo calls upon the local churches to embrace these children and support them. And now. The children are well fed. They not only are learning to read and write, they are learning to live for Christ. The sick are taken care of and recover. The local community is reaching out. It’s a beautiful start. But how does Luo raise the money here in America to send the supplies and hire the staff? T-shirts designed by the children raised $3,000. Canvases painted by the kids are given to their sponsors here in the States. 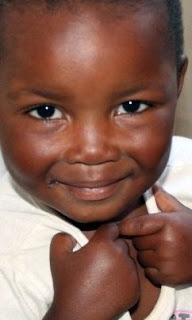 One child can be sponsored for one year for $250. Here Lindsay helps one of the children “sign” their piece of art. When Luo was presented at the Orange Conference in Atlanta, 185 of the 200 children were sponsored. In one day. This money goes to providing the basics to the children, paying for supplies, and giving salaries to the adults. Now that Ithemba Community Center is doing so well, Lindsay and Gavin are looking around the globe. They desire to find other orphanages, in other cities, countries, continents, that need a jump-start. The places, like Ithemba, that have the opportunity to raise a generation of orphans that love their Heavenly Father, if only those around them would help. Luo believes in setting these children free from poverty- so they may walk with Christ. Today, I pray for Lindsay and Gavin, for Luo, for the orphans, and for the local church. The people who live around these orphanages. The ones to whom Jesus calls to be His hands and feet. Through Luo’s guidance, may they see the beauty of the opportunity that is in their own city. And may the world be changed through these kids. Go to Luo’s website to see more videos and pictures, as well as to sponsor a child at Ithemba- there are still some canvases left! Want to learn more about Luo? Have specific questions?